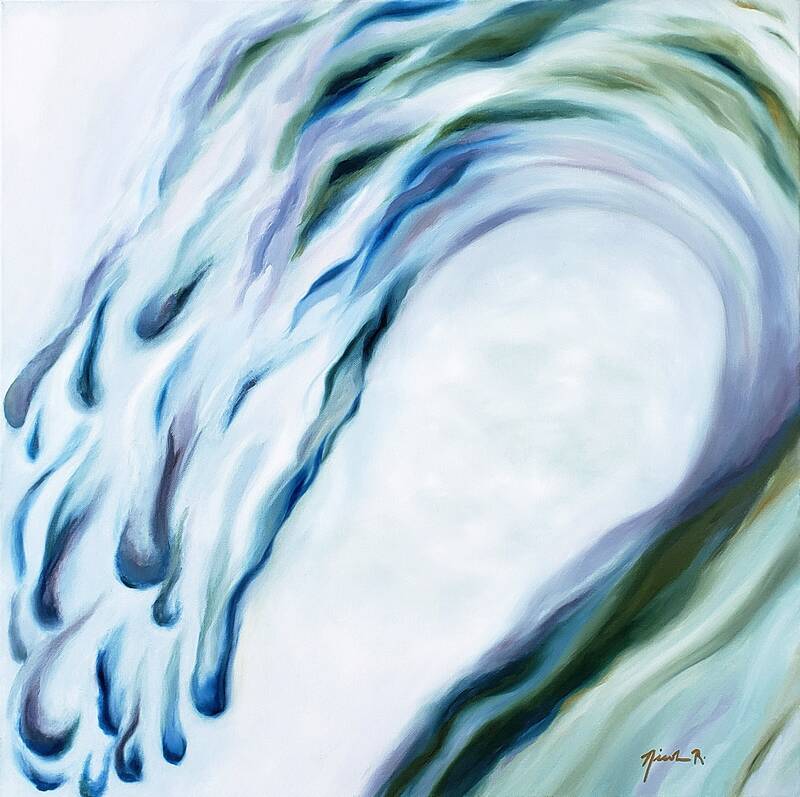 The ever-changing ocean waves are awesomely inspiring! 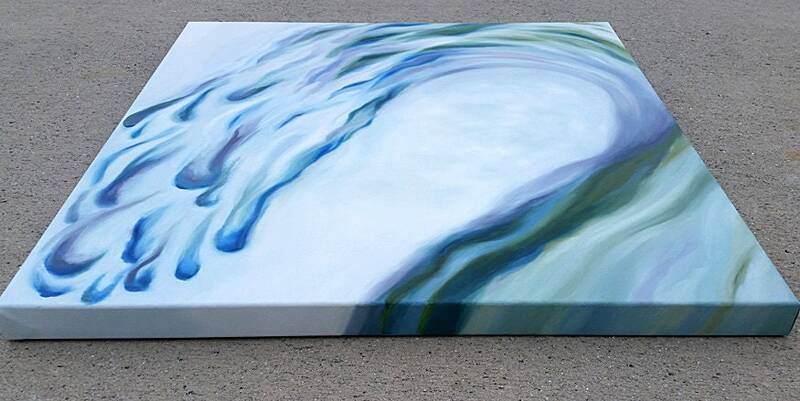 This piece was painted with more muted tones of grayish green, blue and purple. 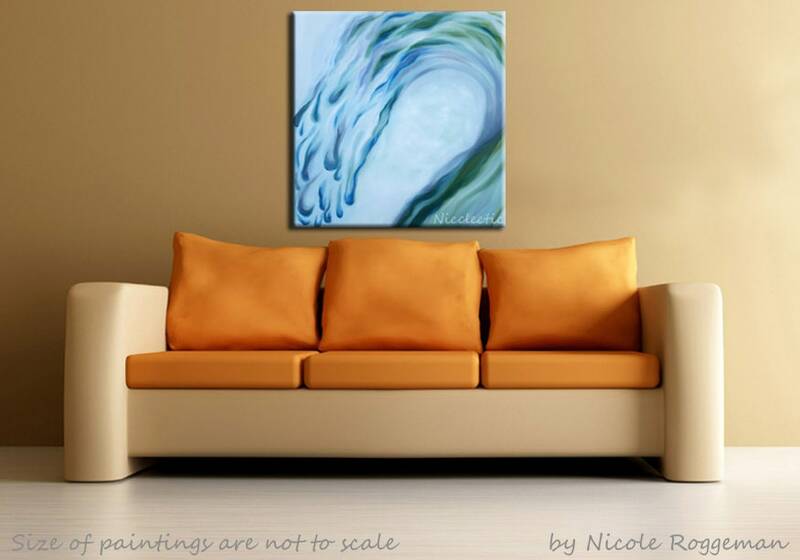 Use it over your mantle or anywhere you'd like to bring a bit of the ocean indoors. 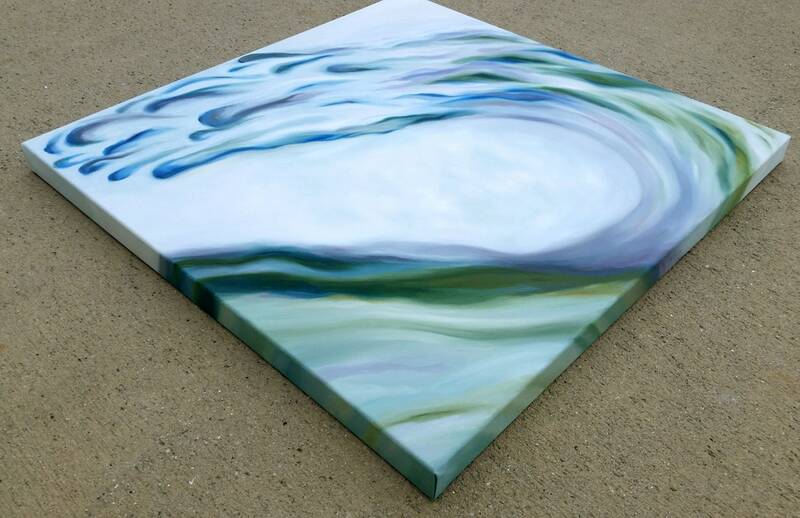 This wave is sized at 24 inches high x 24 inches wide, on heavy duty, 100% cotton duck, archival quality canvas. It is stretched over a thick frame, so it's 1.25" deep. The painting has been continued over the sides for a finished look. The painting has eye hooks and hanging wire in place, is ready to ship and will come to you signed by me, and wrapped securely! Please keep in mind that colors can vary from computer monitor and real life, but I have tried my best to get great photos taken outdoors in natural light. 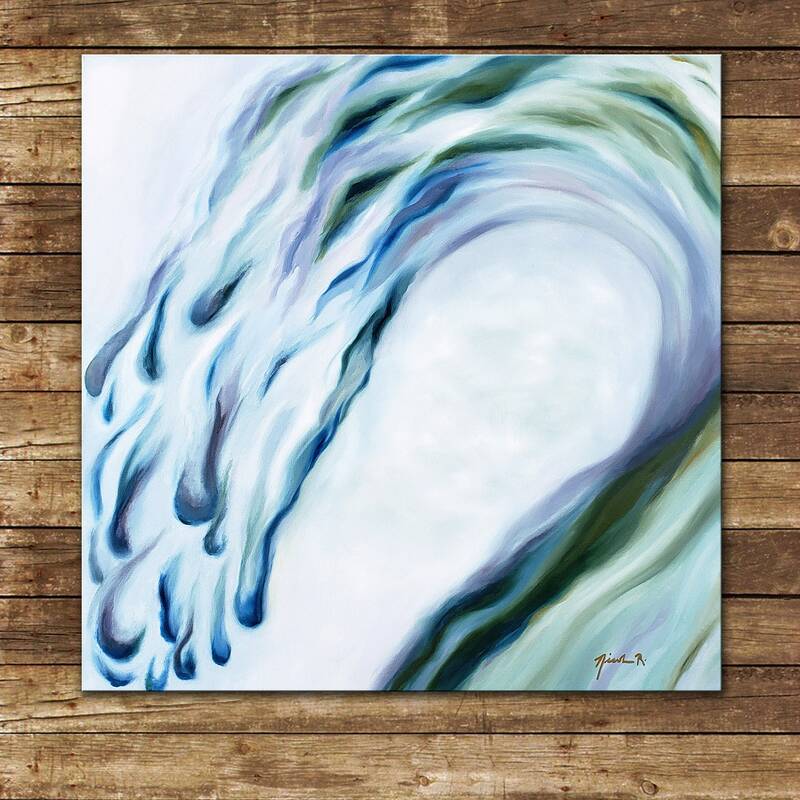 Thanks so much for checking out my shop. Please message me with any questions!